One of the most prominent events of the HiFi Show of October 2018 was Djabe’s Witchi Tai To records, presented on the sound system of Audiophile Salon. This legendary-sounding album reborn, in the most perfect analogue format. The half-speed lacquer cut made by the well known mastering engineer, Miles Showell, at the word famous Abbey Road Studios in London. The 2 x 180g, 45 RPM vinyl records were pressed at Europe’s best pressing plant, in the Record Industry, Harlem, Netherlands. Now, the award-winning Update album goes through the same rebirth. This new release will premiere at Audiophile Salon, Budapest, on 2 March 2019 by band leader and guitarist Attila Égerházi and sound engineer and bass guitarist Tamás Barabás. 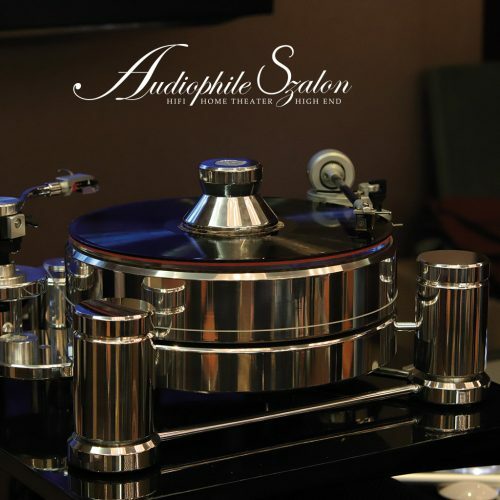 For this vinyl the highest class of equipment will be used including Acoustic Solid turntable, McIntosh amplifiers, Sonus Fiber speakers and AudioQuest Niagara/Dragon cables. The event starts off at 10 AM and will continue until 4 PM. Update 2LP version will be available on spot, as all other Djabe albums. Signing by attending Djabe members is possible. The premiere will happen in the demo hall on floor 1. Meanwhile, on the ground floor Update 2011 surround mix on DVD-Audio will play and can be purchased.